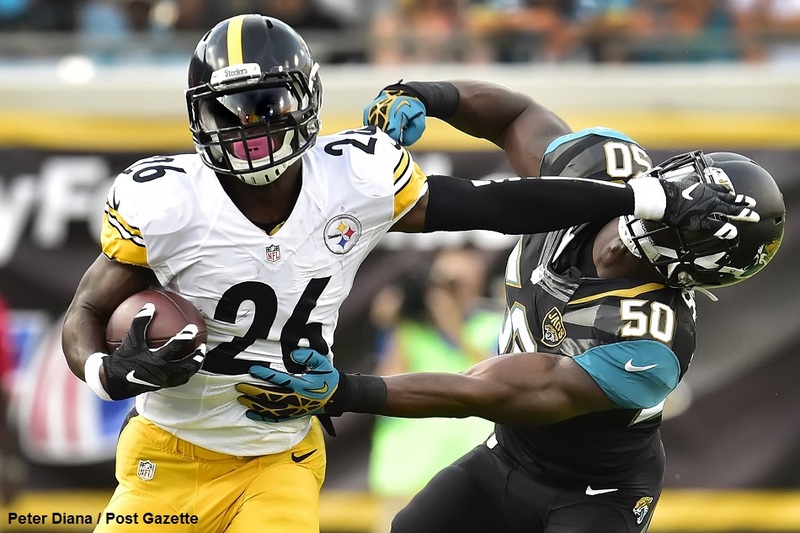 Dave Archibald examines how running back usage has changed as offenses have started to throw the ball with higher frequency, which impacts how fantasy football players optimize their draft strategies and structure their teams. However, not all teams use their running backs equally. Dave’s analysis helps identify which teams give more carries to single backs and which teams spread the opportunities around. Running backs have traditionally been some of the NFL’s biggest stars – both on the field and in fantasy football. Increasingly, however, passing offenses have come to dominate the league, and some teams appear to be de-emphasizing the position, spending only mid-round picks on backs and letting them leave in free agency before they become expensive. Other teams stick with the traditional view and build their offensive attacks around talented backs. This has led to wide differences in how teams invest in the position, and how they distribute the workload among their backs. The demands of the position are so physically strenuous that even the game’s best backs are limited in how many snaps and touches they can take. Different teams have different approaches to the problem of how to divvy up playing time, carries, and targets in the passing game. Some have a clear lead back and maximize the time he is on the field. Some split time fairly evenly among their backs without much concern for situation. Some employ specialized backs with clear roles in the the running game or passing game. By looking at these usage patterns, we can make educated guesses about how teams will use their backs – and how these players might produce in 2016. I took five years of data and saw what percentage of carries and passing targets the leading rusher received, and also the overall production by the team’s running backs. “Leading rusher” is determined on a per-game basis. For instance, Le’Veon Bell got the bulk of carries and targets for the Steelers in the games he was active, and during the 10 games he missed because of suspension and injury, Pittsburgh used DeAngelo Williams in a similar fashion. Looking at full-season stats for the Steelers might incorrectly suggest they rotated backs. If you’re picking high in your fantasy league, you’re probably sizing up one of these players: an every-down back who rarely comes off the field in running or passing situations. Bell, Jamaal Charles, Arian Foster, and LeSean McCoy have been true lead backs year-in and year-out. Unfortunately, this was a rough year for bell cows. Bell, Charles, and Foster each missed at least 10 games. The chart shows why fantasy football fans are excited about the Cowboys adding Ezekiel Elliott in the draft, as Dallas used Darren McFadden heavily in both the running and passing games. The other seven teams are planning to employ the same lead back as last season, and thus there would seem little opportunity for a surprise value play. Backup running backs on such teams could be a smart investment, paying off in the case of Williams’s 2015 campaign. One situation to watch is Indianapolis, where Frank Gore enters his 12th NFL season. The Colts appear to have little behind him – journeymen Robert Turbin and Jordan Todman, and undrafted rookie Josh Ferguson – but if Gore drops off or gets injured, it could create a big opportunity for one of the backups. One would think that bell cow backs would be better than average, but they actually came in at a touch less efficient than average in 2015 – 4.0 yards per carry versus a 4.2 five-year average for all teams. That appears to be a one-year aberration owing to the injuries; the five-year average for this cohort is an above-average 4.3 yards per carry. Teams that employ bell cow running backs tend to use them a little less in the passing game: 585 yards per season over the past five seasons versus an average of 635 league-wide. Fantasy football players may be having flashbacks to draft picks gone wrong. Eddie Lacy (3rd), C.J. Anderson (7th), DeMarco Murray (14th), Matt Forte (16th), Justin Forsett (21st), and Lamar Miller (23rd) all ranked in the top 25 in average draft position (ADP) last season per Fantasy Football Calculator, but none of those players lived up to his draft status. Their respective teams all gave opportunities to stablemates, depressing the lead back’s production. Murray, Forte, and Miller all changed teams in the offseason, but their 2016 outlooks aren’t necessarily better. The Tennessee Titans drafted Heisman Trophy winner Derrick Henry in the second round a few weeks after dealing for Murray. Forte joins a New York Jets backfield that was a timeshare in 2015, though lead back Chris Ivory has departed. Miller figures to have a larger opportunity with the Houston Texans, but they return Alfred Blue and drafted Tyler Ervin in the fourth round. Overall, production for time shares is very close to league average, both in the passing and run games. In 2015, the yards per carry (4.0) were a tick down from overall average (4.2). This group features many of the game’s best catch-passing backs: Shane Vereen of the Giants, Giovani Bernard of the Bengals, Dion Lewis (and James White) of the Patriots, and Theo Riddick of the Lions. At the other end of the spectrum, there are quite a few conventional power backs here, too: Cincinnati’s Jeremy Hill, New England’s LeGarrette Blount, and Cleveland’s Isaiah Crowell. Tennessee added a pair of interesting options in Henry and Murray – the former was not much of a pass-catcher at Alabama, while Murray has often contributed in the passing game in his career. As a whole, the group had a poor year rushing in 2015 (3.8 YPC) but they have been almost average overall (five-year average of 4.1 YPC). They really shine in the passing game, where they average 90 catches and 749 yards versus a five-year average of 78 catches and 635 yards. Last season they posed even more of a threat, with the backs racking up 96 catches for 864 yards. While this approach is effective, it does not translate to fantasy success. Hill was the highest-ranking RB in standard scoring from any of these seven teams, and he ranked just 39th per Pro-Football-Reference. Coaching changes don’t figure to help any – the Giants and Titans both promoted from within, while the Browns hired Hue Jackson away from the Bengals, another team employing this approach. These teams had the best rushing success in 2015 – a 4.4 yards per carry average – but are essentially average over the past five seasons. The Saints, usually a mainstay in the group that uses specialized roles, ended up in this group in part because of an injury to receiving back C.J. Spiller. That pushed up the group’s receiving averages, which trended slightly below average in the past. Fantasy owners know that production is a function not only of talent, but of opportunity. Looking at the usage patterns around the league shows that some coaching staffs provide more opportunities for their lead backs, while some spread the workload out. In general, you want to go for the bell cows and avoid the time shares and specialized backfields. That’s easier said than done with so many teams splitting the workload. If you’re picking later in the first round, it might be wise to target a receiver, but at the top of the draft, running back is still king. Follow @davearchie on Twitter. Check out his other work here, or his analysis of the Josh Norman situation and the hidden game of Super Bowl 50.